Days Two to Seven: On Lago Maggiore with 3 included walking excursions. Your base is Stresa, half way up the lake, which was put on the 19th century ‘Grand Tour’ map by Napoleon’s widening of the access road to the Simplon Pass – illustrious visitors came to enjoy the lakeside villas and health-giving waters. The lakeside promenade near the hotel allows for a pleasant stroll to the pretty town centre – around the main Piazza there is a good range of shops, bars, and restaurants, and from the art nouveau ‘imbarcadero’ boats and steamers traverse the lake on a regular basis (various types of tourist ticket are available). Walk 1: Suna, the ‘Portofino of the Lake’, and Cavandone. Across the bay lies Suna, the most evocative part of Verbania. You travel there by local bus and begin your walk through the clustered medieval village houses, linked by seemingly random arched passageways. You then follow a mule track past orchards, fine old villas, a 14th century tower and a chapel, from where there are lovely views out over the lake towards the Borromean islands and the Alps beyond. Passing through a chestnut grove, you reach the hamlet of Cavandone, the ‘Village of Stone Carvings’, returning to Suna by a different route. 5 miles, 265m of ascent/descent. Walk 2: The Western Lake/Monte alle Croci. You take the train to Lesa (a 12-minute journey), and climb gradually towards Comnago – there are views to Angera castle, over on the other side of the lake. Passing the Maria Assunta Chapel you climb through the wood to reach the summit of Monte alle Croci, with a wonderful panorama of the Lake. Return is by a different route, partly on a road and partly on a mule track. 6 miles, 420m of ascent/descent. There will also be a fourth, optional walk. On your free days, there is lots to see. 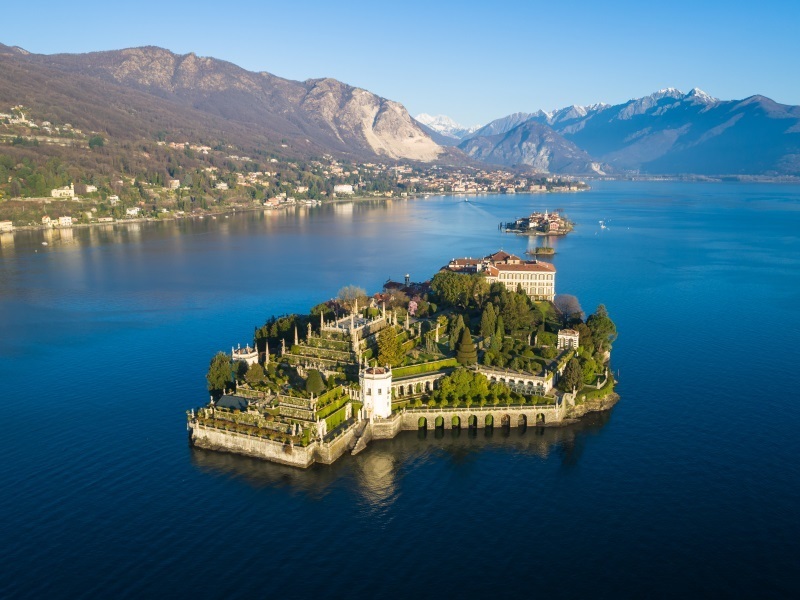 Don’t miss the magnificent Borromean Palace on Isola Bella, and the Villa Taranto, with its wonderful garden, created by the Scottish captain Neil MacEacharn. Optional coach excursions are also available.